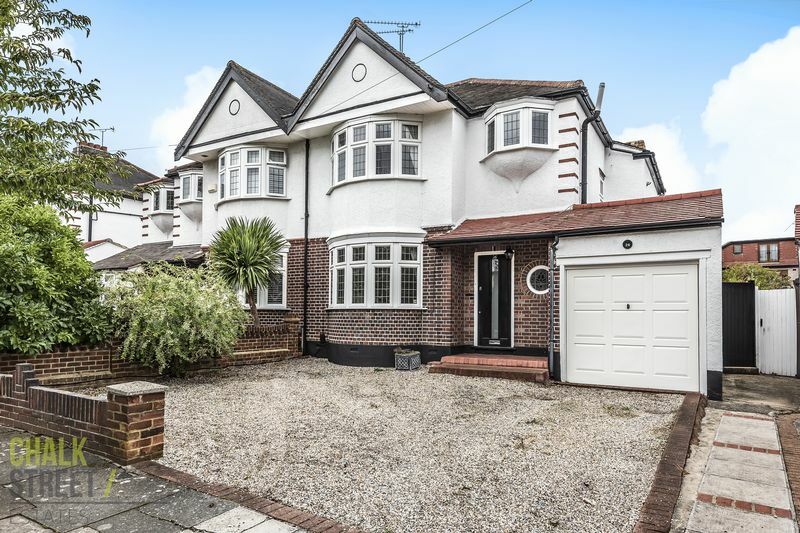 Boasting three doubled bedrooms to the first floor and two large reception rooms on the ground floor, located in one of Gidea Park’s most popular turnings, adjacent to the stunning Exhibition Estate and Raphael’s Park, is this beautiful character semi-detached home . 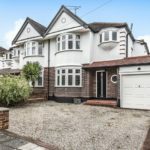 Positioned within easy reach of local transport links including Romford and Gidea Park stations and the A12, in addition to being within walking distance of good primary and secondary schools. Additionally the property benefits from a large kitchen/breakfast room, downstairs cloakroom, integral garage, off-street parking and private rear garden. Entering the property on the ground floor in to the spacious entrance hallway, the first reception room is located toward the front drawing light from a walk-in bay window. To the rear of the ground floor is the large second reception room that serves as a sitting room and dining room, also located at the rear of the property is the kitchen/breakfast room which has direct access on to the rear garden. Finally there is a shower room located off the hallway downstairs. The first floor accommodation comprises three double bedrooms, the largest of which is located at the front of the property, benefiting from a walk-in bay window and fitted wardrobes. The second and third bedrooms are located at the rear of the property with the third bedroom also containing built in wardrobes. Finally on the first floor is the family bathroom. Externally to the rear is the private rear garden which extends back in the region of 55ft. Commencing with a paved patio area, the reminder is laid principally to lawn with well maintained shrub borders. To the front of the property is hard standing off-street parking for three vehicles comfortably in addition to the integral garage.